We install composite doors across… Warwick, Royal Leamington Spa, Kenilworth, Wellesbourne, Stratford-upon-Avon and Warwickshire. Our composite doors are designed to offer exceptional security for your property, combining a 44mm thick door sash with a tried and tested Paddock five point locking mechanism: comprising 6 pin anti-pick, anti-drill, anti-bump lock cylinders that are integrated into the frame to ensure they can’t be exploited as a point of leverage. With these doors, you can rest assured that you’ll be able to protect your home to a modern standard. 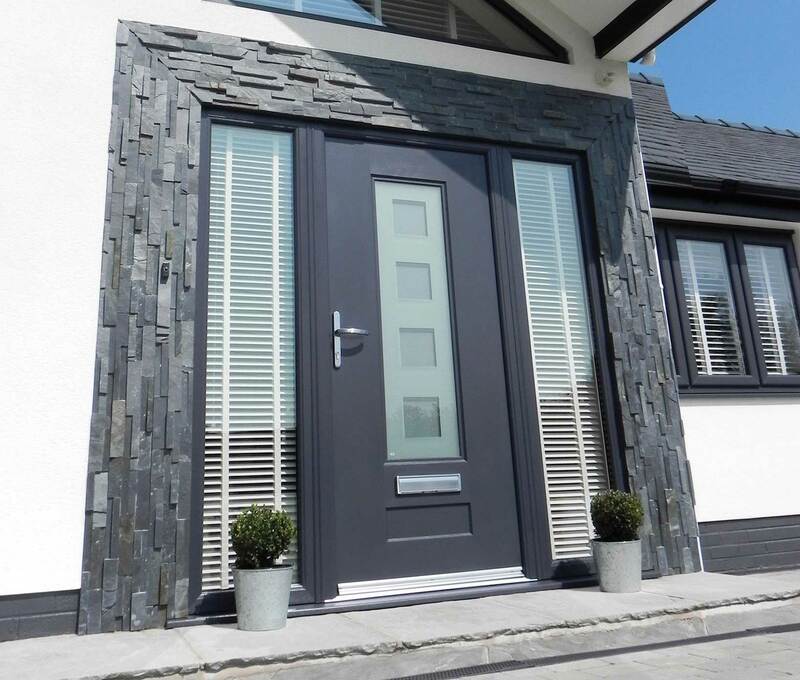 Whether your home is modern or traditional, you’ll be able to find a composite door that will serve as the ideal fit for your home. To ensure this is made easy for you, we offer a full range of 16 door styles with a range of glass designs for each. Our doors are available in five distinct colours for you to choose from (red, black, blue, green, and white) and 2 wood grain effects (rosewood and antique). You can also choose five-door furniture colours. Getting the right glazing in your door is important when it comes to ensuring quality is kept consistent across the design. To make sure this is the case, we offer a wide selection of plain and decorative options for you to choose from: all made to EN1279 for added security and insulation. 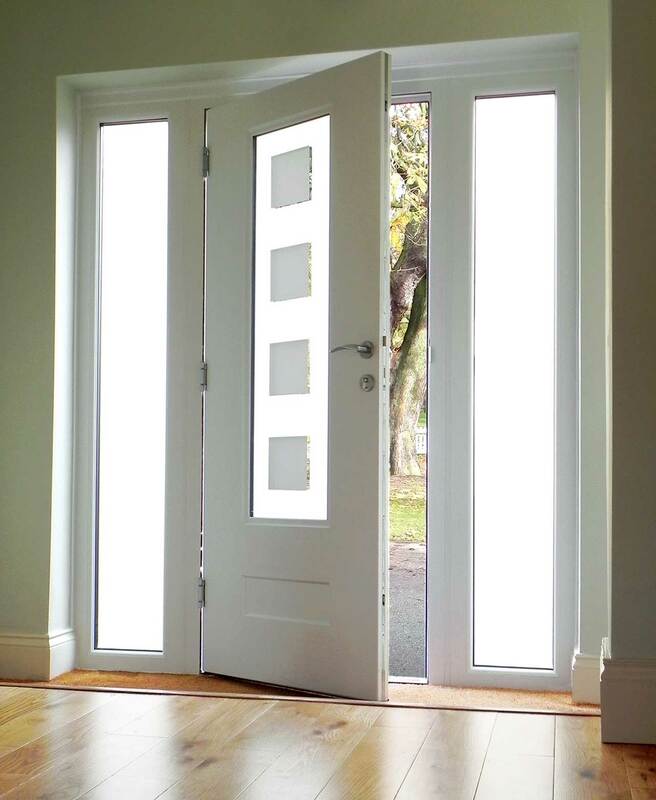 Further to this, we also offer side panels in a number of designs if you are looking to increase the light coming in through your entrance area. 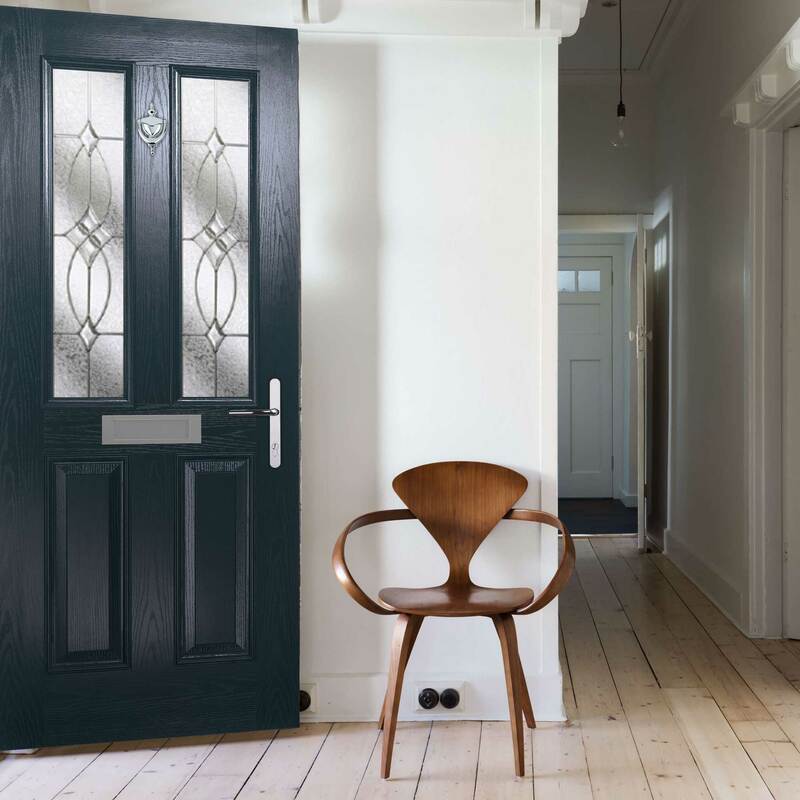 Every composite door that we offer is manufactured from scratch and reinforced for strength, offering the best of the style and elegance you would usually associate with a traditional timber door. Totally secure and virtually maintenance free, every composite door comes with a ten-year guarantee as standard for your complete peace of mind so you can rest assured that you’ll be bringing lasting quality to your home. These doors comprise a fibreglass construction with reinforced styles, achieving high insulation through a high-performance Polyurethane foam core. They feature a robust and realistic woodgrain effect skins to both sides for a beautifully consistent finish that will remain aesthetically pleasing for years to come. To ensure these doors are the perfect fit for your property, each door is made to measure to your specifications. We want you to feel comfortable in your home, which is why all of our composite doors are assessed under the Door Set Energy Ratings Scheme (DSER). 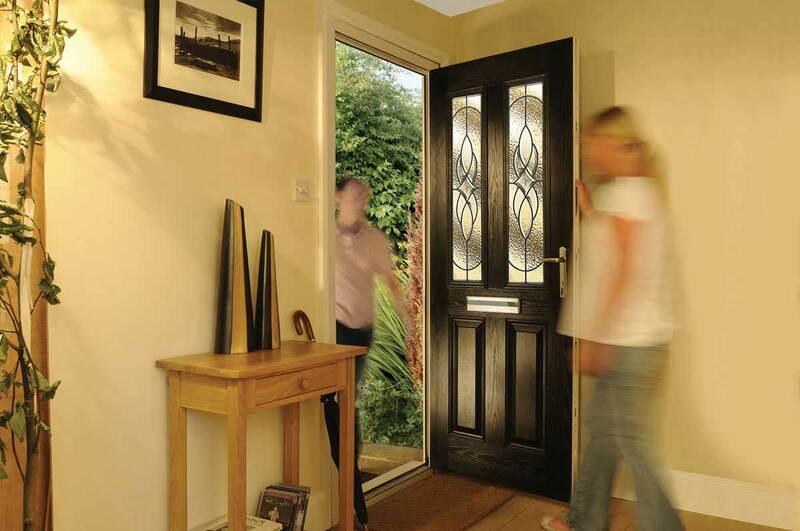 Depending on the style that you offer, our composite doors sit around the ‘A/B’ bracket of thermal efficiency. This fantastic standard allows you to feel more comfortable in your home during the colder winter months, and could also help you to reduce your heating costs across the course of the year too. 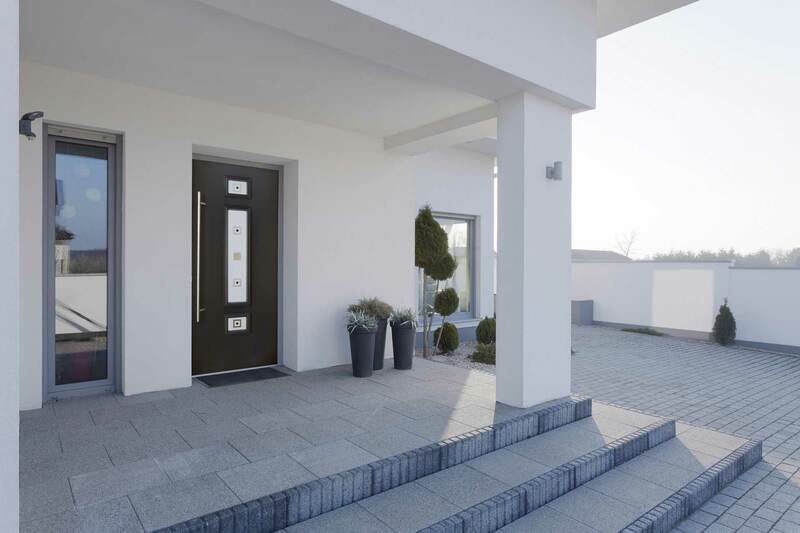 For your complete peace of mind, our composite doors can be configured to achieve a standard of security that is approved by Secured by Design (SBD). This means that they have undergone a stringent and meticulous testing process from a police-backed initiative, offering modern protection against contemporary burglary trends. With an SBD approved composite door installed into your home, you can rest assured that you’ll be achieving an outstanding level of security. We enable you to tailor your composite door to suit your tastes, right down to the details. This includes a range of handles, knockers, letter plates, and spy holes all available in a wide range of colours and styles. Simply speak to a member of our team to see what options we have available, and we’ll be able to customise your new door to suit modern, traditional, period, new build, or heritage homes alike. There is no reason for you to miss out on the quality on offer. 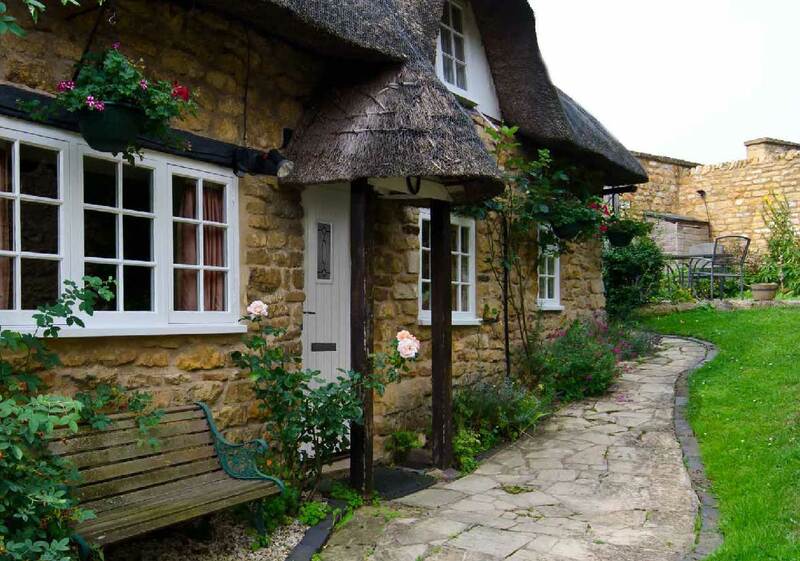 Although our composite doors specialise in offering a beautiful timber look, they do not uphold any of the maintenance setbacks that usually accompany this much-loved material. With this in place, you don’t have to worry about any twisting, warping, cracking, discolouring, bowing, or twisting out of shape when the door gets wet or is exposed to the constantly changing elements. You won’t have to maintain these doors to prevent them from sticking. Visit our online quoting engine to get a free, instant, and highly competitive composite doors price. Simply input your specifications through the step by step process to get a price that has been tailored to you to make things as cost-effective as possible.